Apollo collection features the strength of steel construction, five captivating finishes (antique brass, black, gun metal, shiny brass, stainless steel effect), and two diameters, 3/4" and 1.1/8". Elegance and an excellent price point make this collection an appealing solution for the discriminate designer for any design challenge. Our Apollo Curtain Rods make a quiet statement of strength and elegance.The simplicity and excellent price point on these curtain rods, brackets and finials are sure to resolve numerous window treatment challenges. The drapery hardware components are stylishly sleek and designed to mimic a contemporay stainless steel look. Our Apollo Curtain Rods make a quiet statement of strength and elegance.The simplicity and excellent price point on these curtain rods, brackets and finials are sure to resolve numerous window treatment challenges. The drapery hardware components are stylishly sleek and designed to mimic a contemporary stainless steel look. 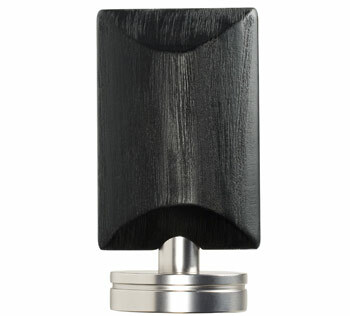 Ludwig Interiors, is introducing Kirsch finial hardware that is an impossible find. The craftsmanship, designs and quality are second to none. Kirsch's reputation for quality and elegance was built on Wood Trends drapery hardware. 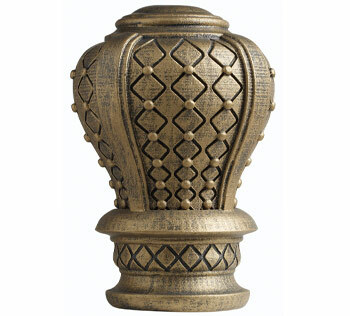 The classic style finials, curtain rings, brackets & curtain rods is rich in color and the subtle grains compliment wood furniture finishes and architectural details, allowing for a totally original design statement creating a stunning look of classic allure.